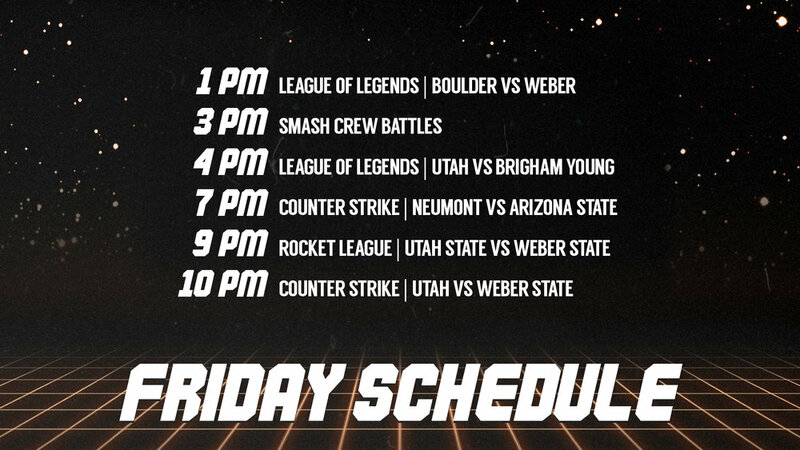 The Utah Intercollegiate Esports Invitational is a home for students to compete with other students with the Mountain west region. 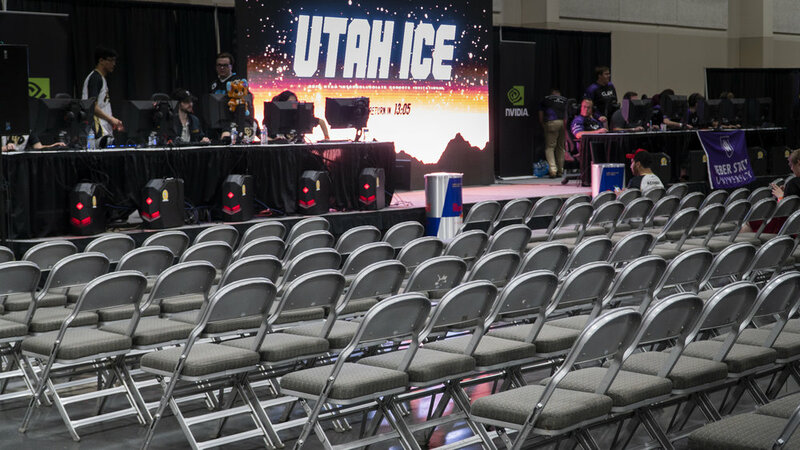 The Utah Collegiate Esports Conference provides a platform for students to showcase their skills both competitively and among their leadership. Together, all the schools in Utah create a powerful force for good with the goal to grow together and see one another prosper. This year, ten schools from across the mountain west were invited to participate including, University of Utah, Utah State University, Southern Utah University, Utah Valley University, Neumont University, Brigham Young University, University of Colorado - Boulder, Arizona State University, University of Nevada - Las Vegas and University of Arizona. 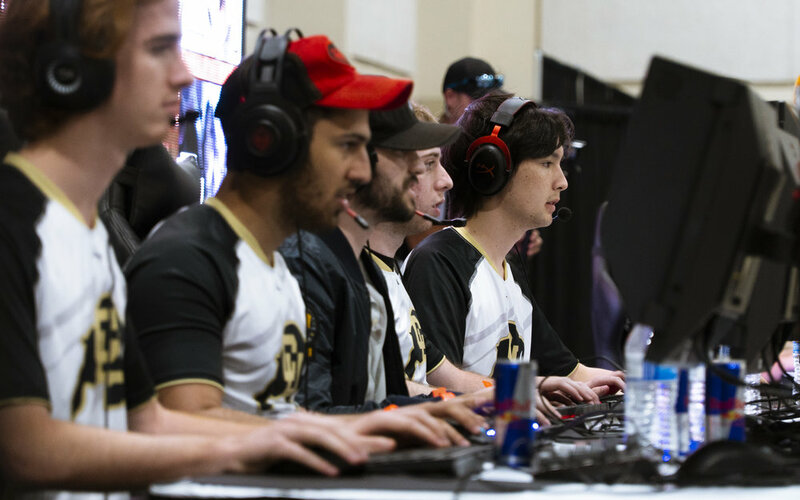 Players from each school competed in online qualifiers in three of the five titles including Rocket League, League of Legends, Street Fighter 5, Smash 4, and Counter Strike Global Offensive for their chance to win a free trip to Salt Lake Gaming Con and their change to showcase their skill on the main stage! This year Sam was in charge of directing all broadcast and production for the Live portion of the event. Alot has changed within a year including the discovery of software like VMIX. Compared to last year where OBS was our primary software, VMIX served us significantly better and allowed us to create more lightweight, complex graphics. Creating graphics for a wide variety of games proved challenging and time consuming but possible. Overlays and packages had to be created for each game to best showcase the narrative we were aiming for. 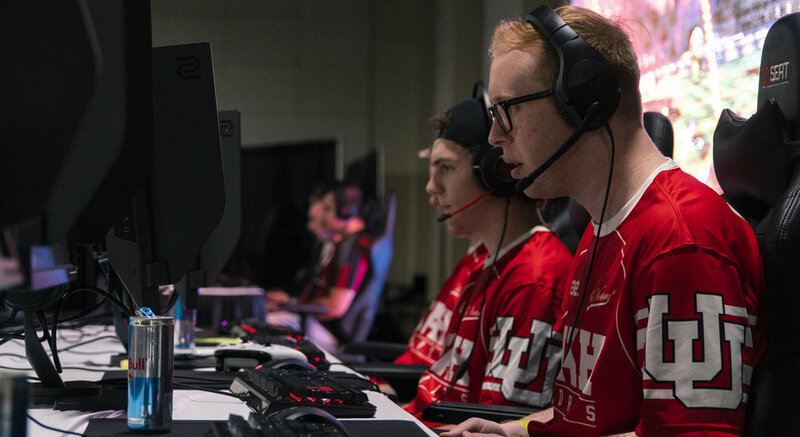 Rocket League had to have score tabs to show which game of the best of seven series it was, smash crew battles had to showcase stock numbers while also aiding the high drama narrative of players knocking one another out. Many of these titles were uncharted territory for the broadcast team. We learned plenty of things to apply to future iterations of broadcasts. This Year's broadcast package played heavily off of traditional 80's graphics and feel. Inspired from the rise in popularity of these retro feels as seen in Stranger Things, Blade Runner, and the newly revamped Tron Legacy. The three graphics seen above vary significantly. 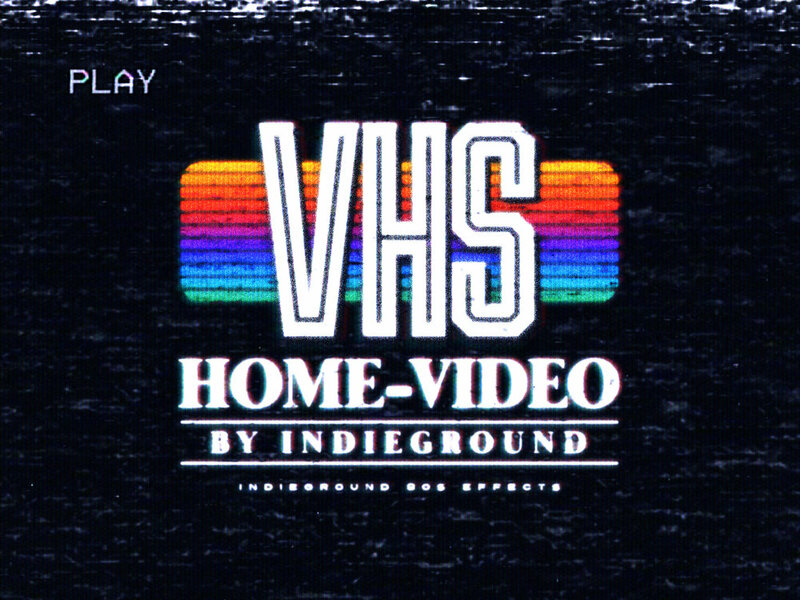 The Text for stranger things looks more like VHS / Book covers seen in the 80's. 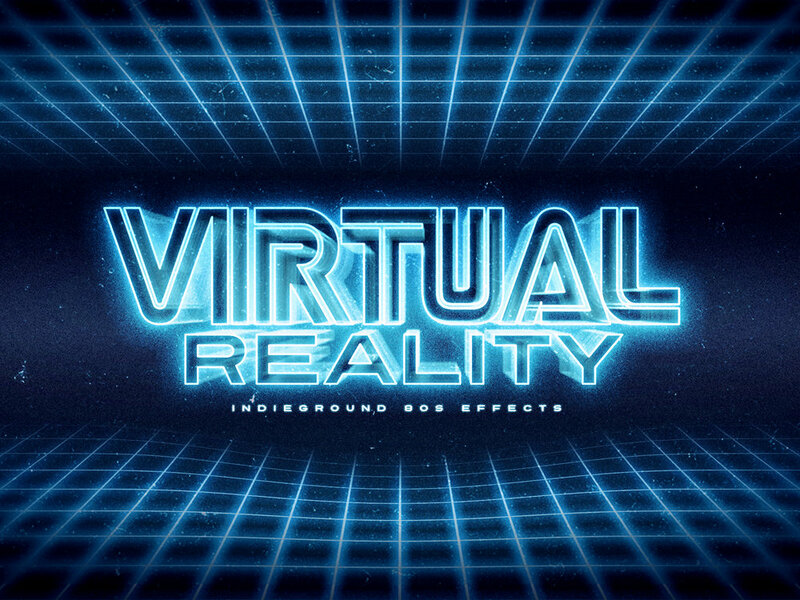 The futuristic vibe from Tron including the grid going off into the horizon, the font and UI elements from Blade Runner, and the grunge feeling of Stranger Thing's Marketing came together to create this year's graphic package. One of the biggest theme inspirations came from my music habits. 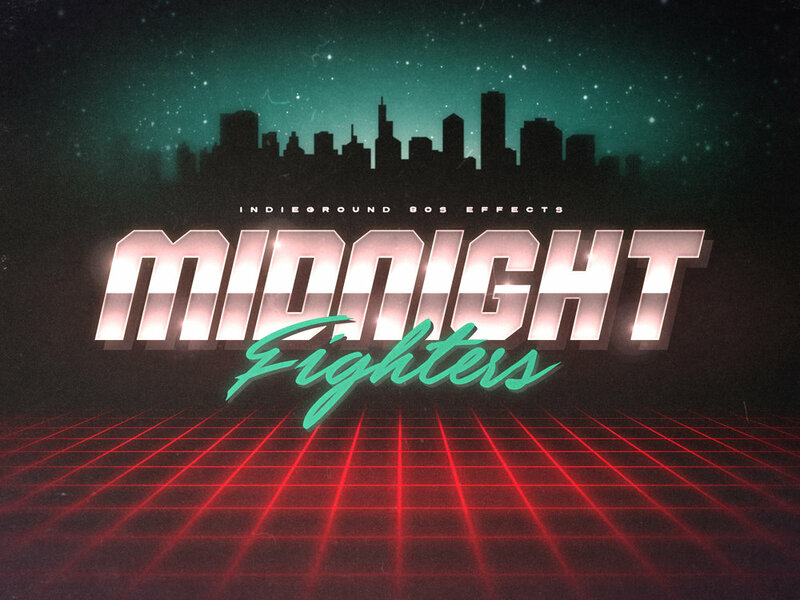 Listening to retrowave / synthwave as a break from techno music. With the production for PACG under my belt and the support from the University of Utah I had more tools at my disposal and more knowledge. This year we pushed VMIX's data driven graphics to the limit. Creating similar systems for different games. 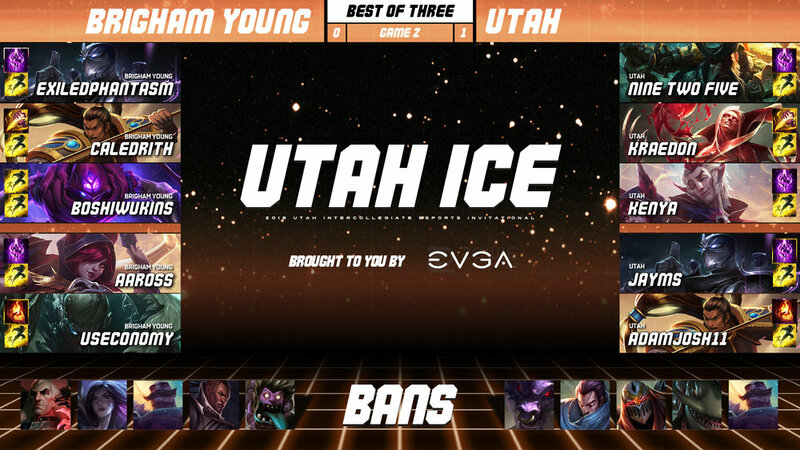 Ultimately we reskined the PACG champion select for League of Legends remaking the ban images after numerous complaints from PACG's Twitch Chat. The Champion select is the most complex version of the Data Driven Graphics used for this broadcast. It is completely controlled from either a local Excel spreadsheet or a Google Drive sheet. 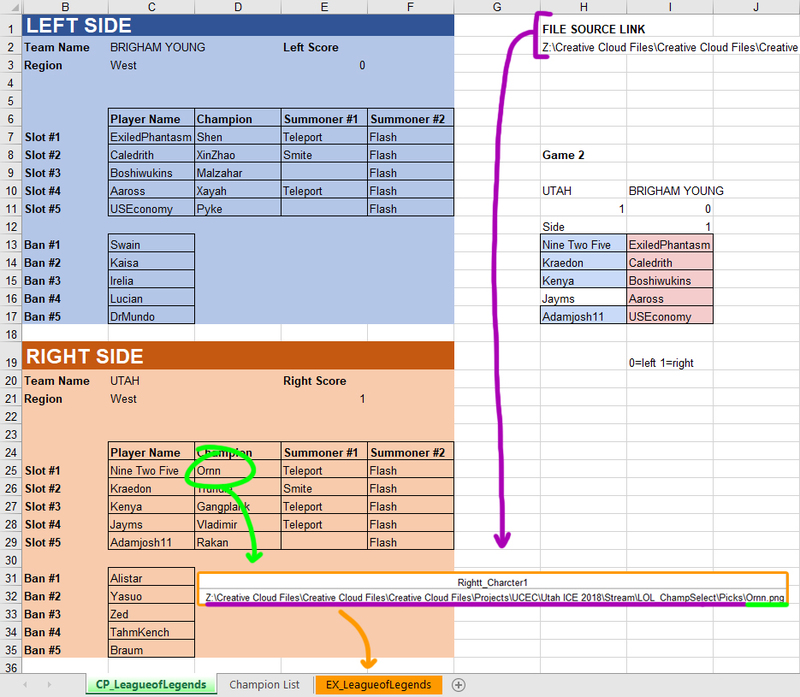 The Excel sheet serves as a reference sheet for VMIX to look up images on the computer. It uses the Files Source Link found at the top of the sheet and combines it with the cells in the control panel to create a path for VMIX to look up the PNG of each image found on the graphic to the right. Together with some spreadsheet logic it can act as a very powerful tool that is able to quickly and easily create graphics on the fly. This same logic is applied to any title used in this graphic package including the graphics found below.